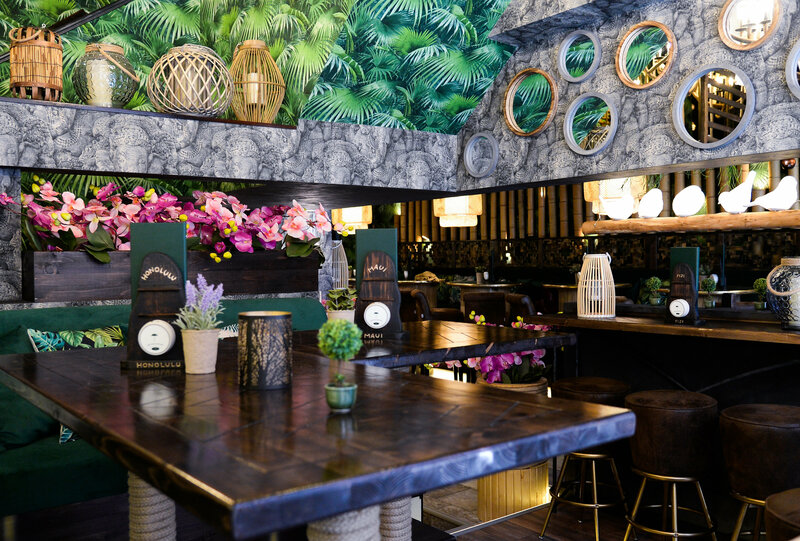 LAKI KANE, LONDON'S NEW POCKET OF PARADISE IS OPEN - Pusser's Rum Ltd.
London’s tropical escape, Laki Kane, is London’s newest rum bar. Whisking guests off to warmer climates with upbeat Caribbean tunes, indulgent cocktails, finger food and good vibes only, this pocket of paradise located in the heart of Islington promises sunshine all year round. For more information, please visit lakikane.com. Laki Kane sits at the forefront of innovative mixology and has already cemented itself as a leader in the drinks industry with the pioneering use of only natural ingredients within their drinks. Committed to delivering a real tropical escape, a menu of unique cocktails has been created using the finest rums, sugar cane syrups and a hand-picked selection of rare and exotic ingredients, with push for service buttons on each table to bring the topical tastes direct to guests. Using fruits such as jackfruit, soursop, açai and Cupuaçu, each with their own proven health benefits, Laki Kane endeavours to take health into consideration and has succeeded in it’s challenge to deliver on flavour without sacrificing on it’s mission to change the industry’s approach to cocktail making. Producing all syrups in house from carefully sourced exotic and natural ingredients, Laki Kane has an extensive list of unique cocktails to choose from. Creative flavour pairings and bursts of colour from edible garnishes are served in glasses that have been hand crafted and specifically designed for Laki Kane. from the original plastic free alternative straws to the sugar cane mill that takes pride of place at the bar, Laki Kane is conscious of the waste it produces and wants to preserve the beautiful nature of the planet for the generations to come. The Spiced Dry Rum Club, Laki Kane’s exclusive upstairs bar, will host a unique rum experience, run by London’s top rum experts. With 17th century style etched throughout the design, guests will be taken on a rum discovery through the past, present and future of rum, culminating in guests creating their own bottle of rum personalised to their taste. During the 3.5 hour rum experience, guests will learn about the unique Laki Kane re-distillation process, indulge in rum tastings, experiment with different rum-based cocktails and use their own hand-made, copper, alembic pot-still to re-distill their own rum, based on the exact natural ingredients that match their desired taste. Each guest’s uniques distillation will be recorded so that bottles can be re-ordered in the future. Open from 4:30pm, Monday – Thursday, 2:30pm Friday and 12:30pm Saturday -Sunday, and featuring late license trading until 1:30 – 2:30am, Thursday – Sunday, Laki Kane is a place for afternoon refreshment, early evening sundowners and late-night cocktails. 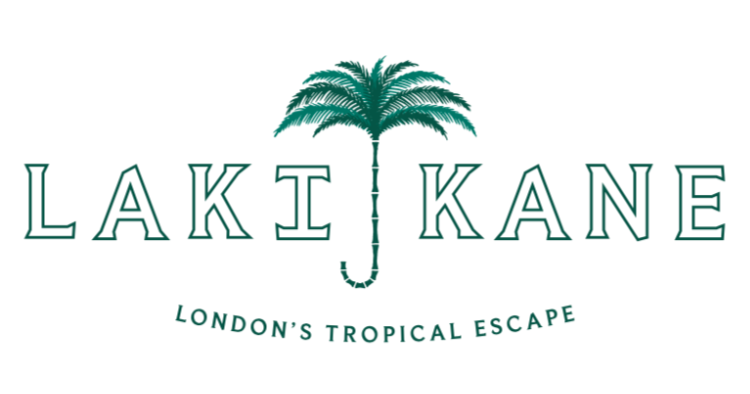 Bookings for the Tropical Escape Bar are now open via the website, lakikane.com, by emailing escape@lakikane.com or calling 020 7607 0766. The Spiced Dry Rum Club bookings will open in late August. For further information, visit lakikane.com.